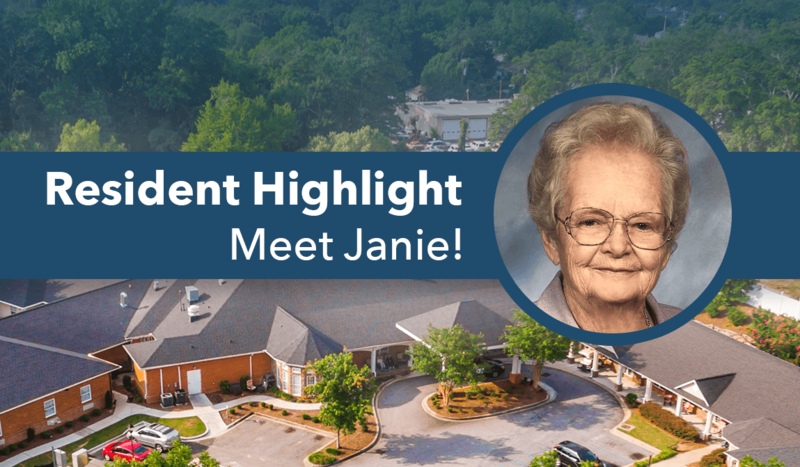 Janie was born and raised high in the northwestern corner of South Carolina along the banks of the Keowee River in an area now covered by Lake Keowee. Janie, along with her siblings, Robert and Jessie Lee, grew up on the family farm where they worked the fertile fields growing corn and cotton. 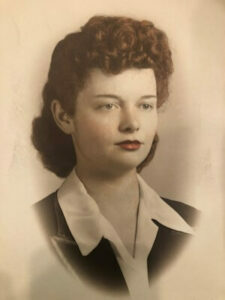 Janie graduated from Keowee High School in 1942. After she graduated, Janie moved to Greenville to find employment. While she was living and working in Greenville, she met a soldier who was stationed at Greenville Army Air Base. His name was Joe, and he was attracted to Janie’s red hair. Janie loves to tell the story of how she and her husband met. Janie was walking along Main Street with a girlfriend enjoying some freshly roasted peanuts when she heard someone behind her yell “lady, I love that red hair.” She turned around two soldiers were walking behind. The soldiers introduced themselves to which Janie responded: “want a peanut?”. She’s sure if Joe took a peanut, but fate had been set in motion. Upon learning about her dislike for “Yankees,” Joe claimed to be from Texas instead of Pennsylvania. Joe and Janie fell in love and were married in October 1945. When WWII ended, they moved to Pennsylvania. It was during the winter and after about three months of gray skies and snow, when Janie decided she had enough of winter and announced she was going back to South Carolina. Joe and Janie both found work at Steel Heddle, a textile equipment manufacturer in Greenville. After several years of hard work and saving, Joe and Janie bought a house. In 1951, they had their first child, a red-headed boy. Five years later, they had their second child, another red-headed boy. Shortly after that, Janie and Joe moved to Mauldin. Trying to find someone to watch her boys so she could work was more difficult than she imagined and she recognized the need for childcare in the Mauldin-Simpsonville area. Janie started Kiddie Haven Nursery (later known as Brennan’s Nursery). 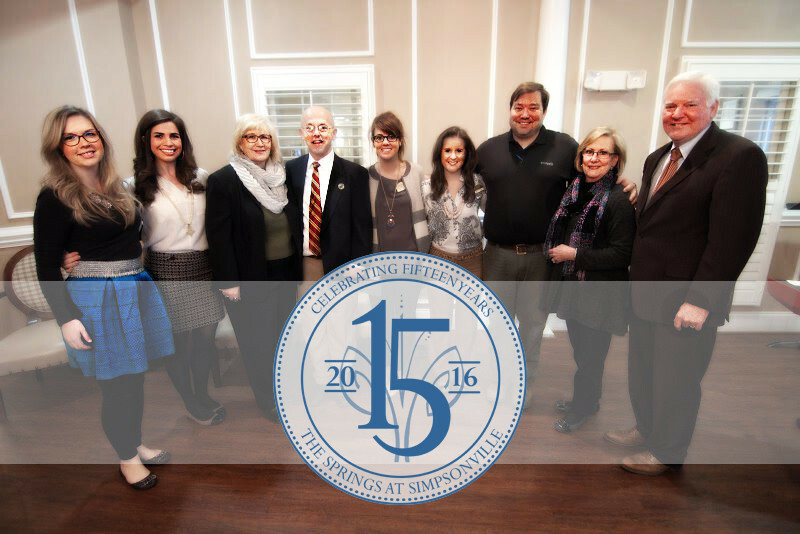 As a result of much hard work and perseverance, the business flourished and grew to provide daycare for close to 100 children. Janie owned and managed the nursery for 17 years before she retired and sold the company to care for her elderly mother. Janie loved to do things with her family. Every Friday evening during the summer she would pack the car and they would head to Lake Greenwood for the weekend. Janie loved to fish and would often catch a stringer full of Crappies which she would clean and prepare for fish fries. A lot of Janie’s hobbies and interests centered around food. She had very productive vegetable gardens where she would grow a variety of vegetables for the family, as well as the nursery. She was an excellent cook and she loved to showcase her talents by preparing scrumptious meals for friends and family. Here at The Springs at Simpsonville, we love hearing all of Janie’s stories and seeing her face light up when she does. Janie has been at the Springs as a full-time resident since October 2016, and we are so happy she has been! If you have any loved ones that would be interested in living in a community where people are listened to, care for, and happy, then schedule a visit with The Springs today!